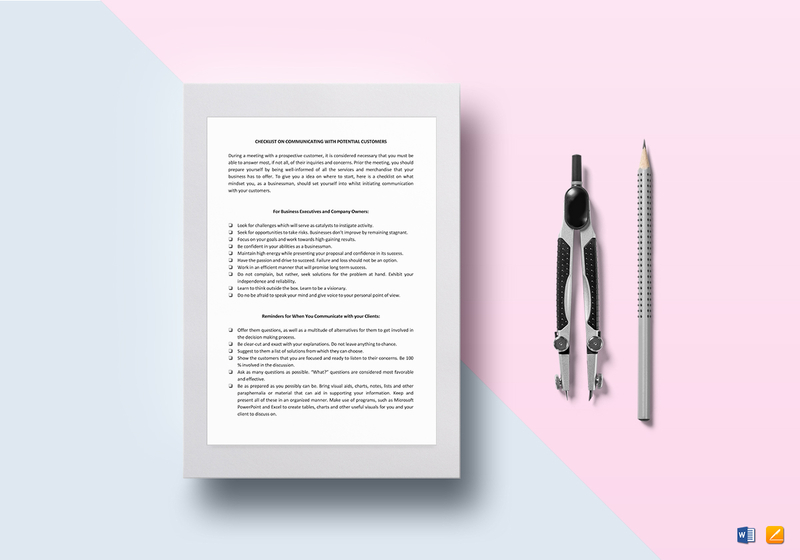 Streamline your client communications with this Checklist Communicating with Prospective Clients Template. 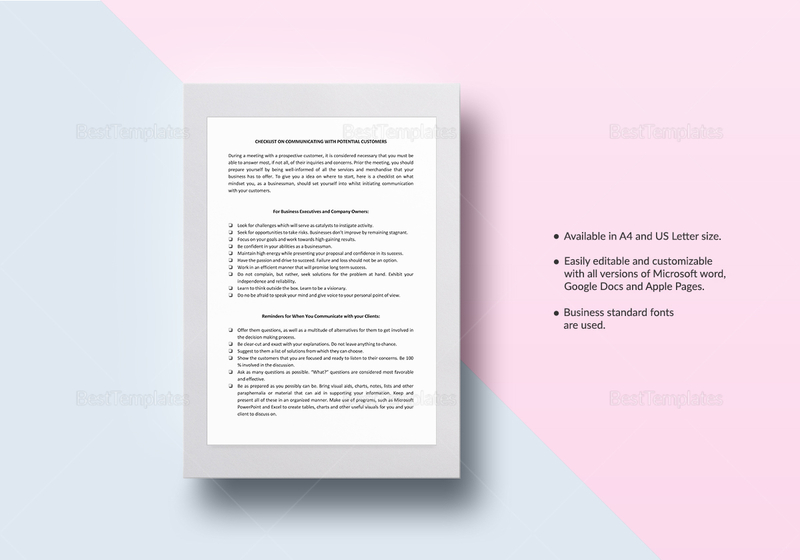 Download now and get a hold of this effective and comprehensive document with standard business fonts in A4 and US letter sizes. Edit with any chosen app or program that supports MS Word or Pages file formats. Never forget a step or detail with this fast and easy checklist.